Danger: The Common use of “God” in language. 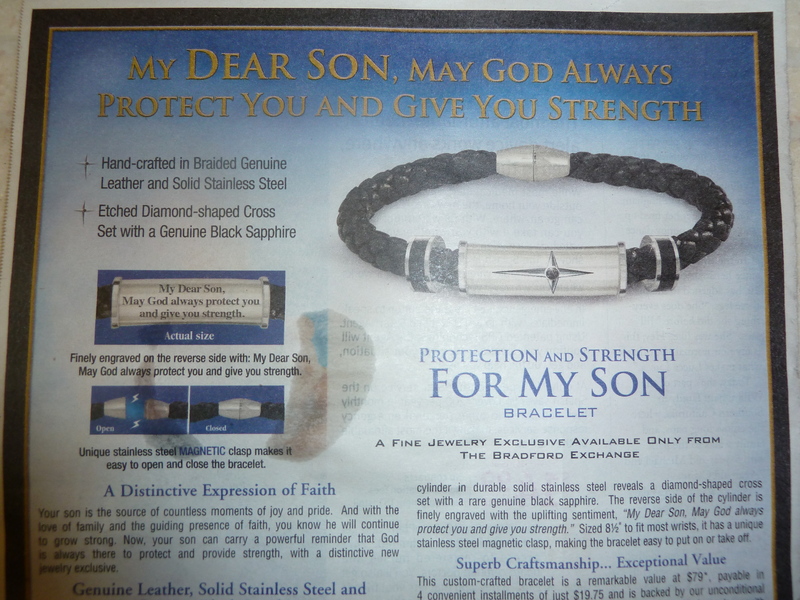 This is an advertisement for a bracelet posted on the back page of this week’s Parade Magazine, collated in our Chicago Tribune. Though not a word is mentioned about the specifics for protection and strength, that is, military or otherwise, it is a sincere gesture that any parent can sympathize with. No doubt! But . . . Here is the danger: Post-modern Christianity is not Christianity, because, the word “God” can mean anything BUT the Father who sent Jesus Christ to save sinners. Acid test (no not like the Rolling Stones): Any time you see or hear the word “God”, replace it with “Christ” – and see if those who use the word God would approve. If not, then they are not speaking of the only God that there is – for the only God there is – is the one who sent his Son as Savior of Sinners. Though fully God, he became fully Man, lived a sinless life, died on the cross for claiming to be God, rose again from the dead and is coming back as King of kings and Lord of lords. This entry was posted in Uncategorized and tagged "God" language, Jesus Christ, Practical Christianity by ivanjamestruman. Bookmark the permalink.